Bhagalpur is one of the imortant cities of the state of Bihar. 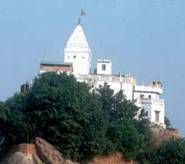 It is situated on the banks of the river Ganga, about 220 Kms from Patna, the capital city of Bihar. Since this city is situated in the Gangetic plains, it is very fertile and is a major producer of silk. Mango, rice, barley and wheat are other major crops grown in this agrarian city. Bhagalpur derives its name from Bhagdattpuram, which means "City of good luck". The people of Bhagalpur speak Hindi widely. Angika is one of the most popular regional languages spoken in Bhagalpur. Angika is one of the oldest languages of the world and about 50 million people speak this language worldwide. This city has a population close to 350,000 people. The literacy rate is only 7%. The literacy rate of females is higher than that of the males. The major industries here are sugar mills and rice mills. The city has engineering, medical and homeopathic colleges. It also boasts of an agricultural college and a university. 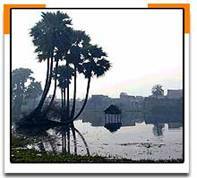 The city of Bhagalpur has a lot of mythological and historical significance. References of Bhagalpur can be seen in epics like Mahabharata, Ramayana as the kingdom of Anga, which was ruled by the charitable king Karna. The first railway line passed through Bhagalpur in 1861. Mount Mandar is situated around 52 Kms southwards of Bhagalpur. This hill is well known in Indian mythology. According to mythology, this hill was used by the Gods to churn the ocean, using the serpent "Vasuki" as a rope to get "Amrit". According to the puranas. Lord Vishnu, covered the demon Madhu with the hill after destroying him. This 800 foot granite hill is a popular picnic spot. The residents of Bhagalpur have been producing silk for hundreds of years. Fa Hein and Heun Tsang, the reknowned ancient Chinese travellers have made references to this city as one of the largest trade centers of eastern India. Bhagalpur also had a harbor on the river Ganga. This place is now Champanala, but it is referred to as Champanagar in history. Bhagalpur is the home of the first South Asian woman doctor, Kadambini. This is an ancient Hindu festival dedicated to Surya, the chief solar deity, unique to Bihar.It is celebrated twice a year: once in the summers called the Chaiti Chhath, and once in the winter around a week after Deepawali, called the Kartik Chhath. The much celebrated Kali Pooja where Goddess Kali is the chief deity for the occasion.Kali Pooja is celebrated on the Amavasya or the no moon night in the Hindu month of Kartik. The Bikanpur mosque and the Khaligabagh mosque is sparkling white and are considered to be very famous in Bihar.Bhagalpur also has the grand tomb of Ibrahim Hussain Khan in Khanjarpur which is one of the best monuments in Bihar.The other noteworthy monument in Bhagalpur is the Ghanta Ghar or Clock Tower which was built during the British time. The temples which is of tourist attraction here includes Vishhari Sthan,the Snake Temple and the Jain temple in Champanagar.The Shiva Temple at Budhanath is also a notable temple to be visited. 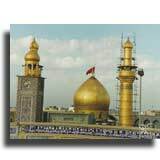 The dargah(tomb) of Ghuran Pir Baba is one of the famous mosque in the town of Bhagalpur. Kuppa Ghat or Mehi Ashram by the river side is an ideal place to spend the evening. The ashram hides an old subterranean passage leading to various destinations and it can be visited only with an attendant. Sultanganj, 28 kilometers west of Bhagalpur, is famous for the rock cut carvings and Baba Ajgaibinath temple amidst the river Ganges. It was at this place from where a stupa, which had a mighty Bronze statue of the Buddha in Abhaymudra, was excavated in 1861. The statue is now in the Birmingham city museum, England. Tillha Kothi,situated close to the University campus is also popularly known as Rabindra Nath Bhavan which was once the residence of Rabindranath Tagore and it was from here parts of the Nobel prize winning "Gitanjali" were written. 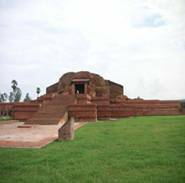 The famous Vikramshila monastic university, set up by the Pala ruler Dharamplal is a major tourist destination of Bhagalpur. The hill is replete with relics of bygone ages. Besides inscriptions and statues there are numerous rock cut sculptures depicting various Brahmanical images.It is located at a distance of about 50kms from the town. There is nothing much to shop in the town of Bhagalpur. The domestic airport located in Patna at a distance of about 235kms away from Bhagalpur provides the nearest air connectivity.It is an international airport, and is well connected with all the key cities of India, through almost all the major airlines. Bhagalpur lies on the broad gauge of the Eastern railway running from Kiul to Burdwan. Important stations in this District include Sultanganj, Bhagalpur, Sabour, Kahalgaon. Bhagalpur is connected by an excellent network of national and state highways, along with district and rural roads. National Highway 31 (NH 31) runs through the Navgachia Sub-Division of Bhagalpur district. It links the subdivisions of the district directly with Patna, via Begusarai and Khagaria.